The Townsend is one of downtown’s landmark buildings, located in the heart of the Chapel Street Shopping District. 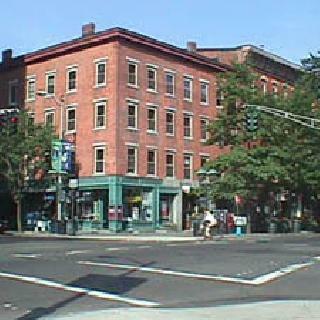 Rising above Claire’s Corner Copia on College Street, many of the building's apartments offer a view of the New Haven Green and Yale's "Old Campus." The apartments feature central air conditioning, and tenants are responsible for their heat, hot water, and electricity. The building offers elevator service and a laundry room for tenant use. Residents will find their home convenient to the central campus, the Medical School, and the Art & Architecture Building. This building was built in 1832 by the Townsends, a family of shipping merchants. It is designed in a Greek Revival style.